Everyone raves about the time it saves them. No planning the week's meals, googling decent recipes, and scrambling to go to the supermarket. You just choose your menu, and the food arrives at your door in an insulated box! It's simple and delicious, and you get to try different cuisines and cook with ingredients you normally wouldn't. 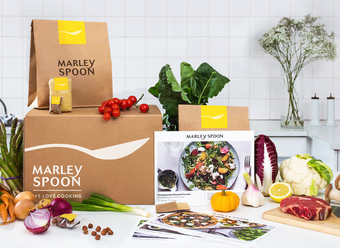 The difference between Marley Spoon and other meal kits is the amount of choice you get. You get to customise your menu from 12 recipes every single week, and you’re always cooking with interesting ingredients, and learning new techniques. 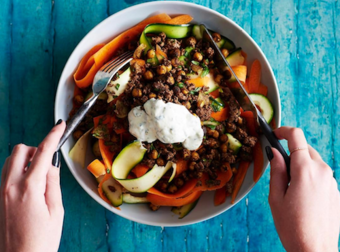 Marley Spoon have a team of chefs and recipe developers who are constantly creating delicious recipes from all corners of the globe, with sustainably sourced produce and a focus on using ingredients in their peak season. 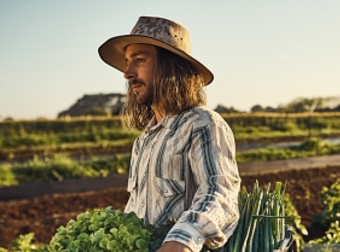 All while supporting local farmers across Australia to get only the best. Marley Spoon is the most budget-friendly way to get dinner on the table. 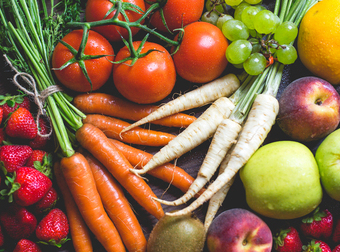 Tailor your plan to suit your lifestyle by selecting two, three or four meals per week with a Two-Person or Four-Person Box. With portions from just $8.95, it’s easy to cook up good, wholesome food for less. Plus, shipping is always free!